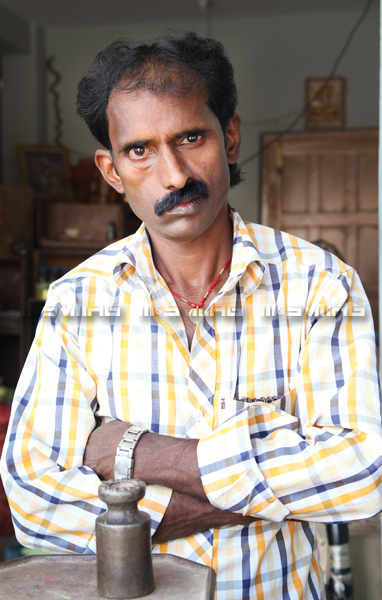 Chalitra Prasad Yadav, known to many as ‘Mithun Bhai’, is a favourite amongst the locals of Chabahil. He received his iconic name almost 20 years ago, when he came to the capital to sell vegetables. “People saw my hefty body, long hair and moustache, and that’s why they gave me the name,” he says. Now 40, Mithun Bhai is a proud owner of a shop that employs two men who help supply vegetables and fruits to the valley. But things were not this rosy in his younger days. Back in his hometown, Awdhesh Chowk, Bihar, Mithun Bhai struggled with poverty. The meagre income from selling milk, his household’s profession, was not enough to sustain a family of four brothers. Uneducated, Mithun Bhai spent his childhood helping his parents with their small dairy business. He remembers getting up at the crack of dawn to feed and milk his cows . Later, he would cycle around to deliver milk to the neighbours. At 20, three of the five cows his family owned died due to old age, and gradually everyone began eating only one meal every two days. This is when he realised that working hard at his family’s milk business would not help improve their economic situation. Mithun Bhai decided to move to Hetauda, and a year after the loss of his family cows, found himself selling ice cream as a street vendor. Born and raised in Bihar, he had to learn Nepali for the first time and adjust to a new culture. After nine months, though, he realised again that the venture would not help him earn enough for his family back home, so he moved back to Bihar. He stayed in Bihar for a year before moving again--this time to Kathmandu. During his time in Bihar, Mithun Bhai’s uncle, who lived in Chabahil, would tell him about job opportunities available in Kathmandu. “I wanted to make money and help my brothers and parents. I did not think twice about leaving my hometown,” says Mithun Bhai about his decision to move to the Valley. 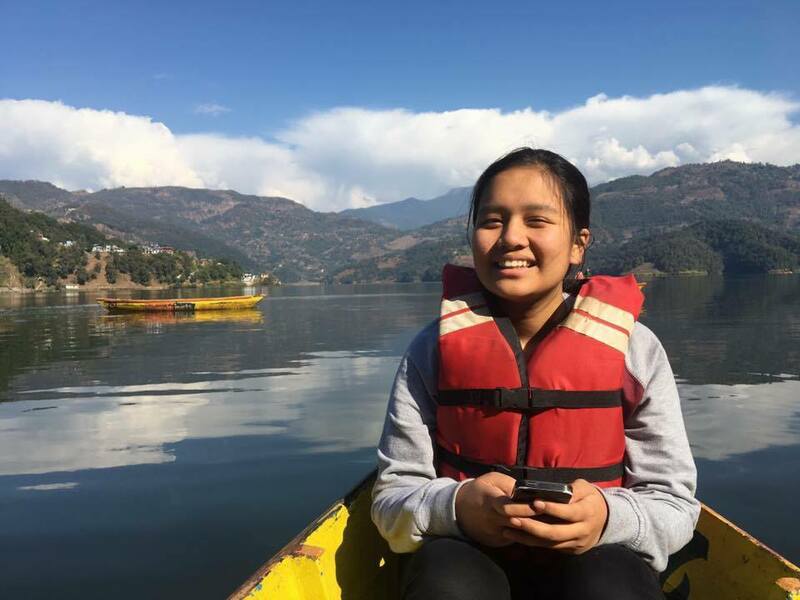 Having never been to the city before, travelling to Kathmandu was an adventure in itself. He was bringing his Atlas bicycle along, and for almost 12 hours, Mithun had to shift his heavy cycle from one bus to another. After missing his bus at one of the transitions he remembers cycling uphill for two hours in the Terai sun to reach the next stop. Once he reached Kathmandu, Mithun Bhai settled in with his uncle from Chabahil. Very soon he began selling vegetables in the same cycle he had brought from Bihar. Mithun Bhai and his uncle had to remodel his bike before he started out, so together, they bought scraps of metal, bamboo branches and plastic twines to create a basket that could be affixed behind the seat. 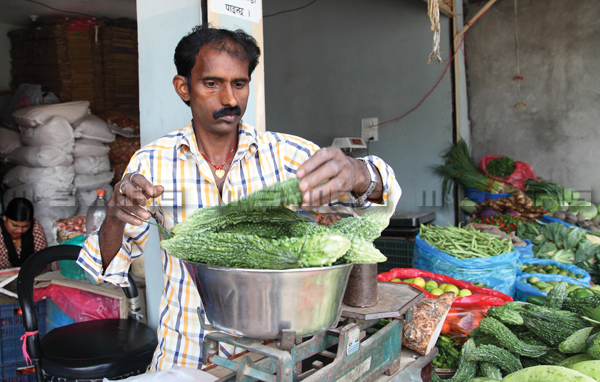 Every day, Mithun Bhai would cycle all the way to Kalimati at midday to restock his vegetables. Even in pouring rain and under the blazing sun, he would somehow manage to deliver vegetables to his customers all around the valley. A few months in, he not only found himself discovering all the gallis in Baudha, Budhanilkantha, Basundhara and Baneshwor, he also started gaining his customer’s trust, respect and recognition. Approximately nine months after working in Kathmandu, he began to see the benefits of working as a vendor. After a visit to his village that year, he invited his brothers to work with him. For the next ten years, Mithun and his brothers worked hand in hand. All three had their cycles they brought from Bihar, which they remodeled to deliver vegetables to their customers. The Yadav brothers saved enough money to build a house for their family back in the village. Around the same time, Mithun Bhai was offered a hand in marriage. Later that year, he married Rajeka Devi. Thirty and freshly married, Mithun Bhai decided to expand his business and his family. Today, Mithun Bhai has four children. His oldest son is 11, and his youngest daughter is eight. Last year one of his daughters was given a 100 per cent academic scholarship. Mithun has come a long way professionally too. For many years now, he has been supplying vegetables and fruits to neighbourhoods both near his shop and further afield. He also has two employees who deliver items using the shop’s motorbike or van.